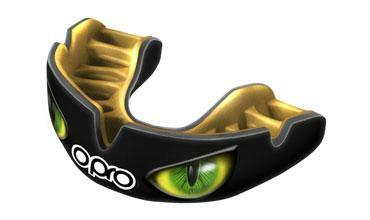 Introducing the OPRO Antimicrobial Mouthguard Case for your mouthguard, night guards, retainers or snore guards. ANTI-MICROBIAL - Keep your mouthguard, Snore Guards, Night Guards and Retainers protected, clean and fresh with the OPRO antimicrobial mouthguard case. STAY FRESH - This is very useful for keeping your mouthguard safe when it's in your kit bag, as well as keeping it feeling fresh. KILL UNWANTED BACTERIA UP TO 99.99% - We have teamed up with Biomaster, world leaders in antimicrobial product protection, to offer you the choice of having antimicrobial protection added to your Mouthguard Case. Odour and taste free and giving permanent product protection, Biomaster antimicrobial additives inhibit the growth of bacteria by up to 99.99% and are proven to be effective to antibiotic-resistant bacteria such as MRSA. Antimicrobial case is the ultimate choice for providing protection against harmful bacteria. In addition to our pioneering work in the development of custom-fit Mouthguards, for which we were proud to receive the Queen's Award in 2007, OPRO has also developed the revolutionary OPRO Self-Fit mouthguard and cases. Featuring anatomical patented fin technology, the OPRO Self-Fit provides the best fit, comfort and retention of any self-fit mouthguard.